Antler Gold is focused on exploring a property known as the Wilding Lake Project in Central Newfoundland. The Wilding Project is virtually unexplored and recently became accessible as a result of logging activity at which time Brian Jones and Gary Rowsell discovered mineralized boulders containing visible gold alongside a new road. The Project lies adjacent to Marathon Gold’s Valentine Lake gold camp which currently holds an NI 43-101 compliant estimated resource (combined Measured and Indicated) totaling 1,060,000 oz. gold at a grade of 2.20 g/t (Murahwi, 2015). 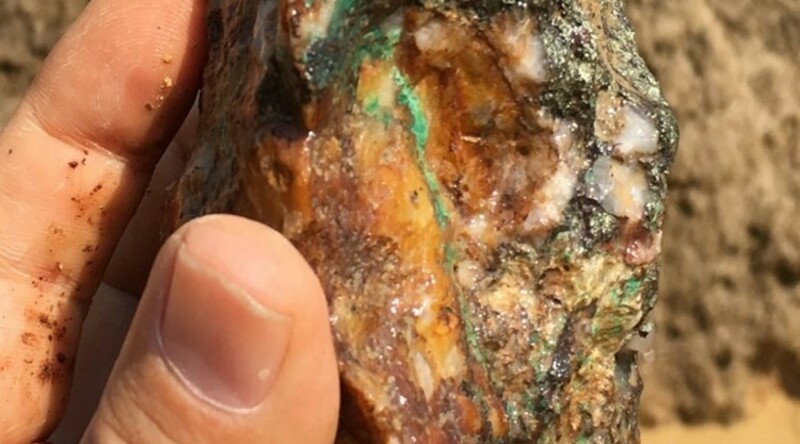 Initial exploration work by Antler has yielded numerous showings of mineralization including visible gold over approximately 3 kilometers. The remaining 47 kilometers of trend has not been explored. A systematic exploration program has been initiated, to identify new showings throughout the trend. The founders, directors and management of Antler Gold are highly experienced in gold exploration and mining. The team has aligned their interests with shareholders and are 100% committed to the prudent expenditure of funds, carefully managing exploration programs and minimizing shareholder dilution. The team at Antler is excited to be working on this new gold discovery in a safe and mining friendly jurisdiction. Please sign up to our distribution list to keep abreast of the latest developments.